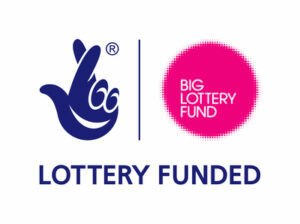 After nearly a year’s scoping work behind the scenes, Dao Lu has recently been awarded funding by the Big Lottery Fund to provide a new programme of physical activity and healthy living for the London boroughs of Waltham Forest and Newham. Our programme, Ultimate Wellbeing, will take a holistic approach and provide positive opportunities for a wide age range within the targeted communities. Exercises will focus on improving balance, movement and muscle strength; vital physical attributes for older people (75+) to maintain. You can read more information on Tai Chi for Older People at George Mason Lodge here. We will attend a day centre in Newham to deliver sessions for people with visual impairments. We will provide tailored sessions and additional support to ensure that all disabled people feel comfortable when participating. You can read more information on the project here. We will deliver two women-only projects for different age groups, to ensure that females are not deterred from participating due to their low confidence engaging in physical activity around men as well as cultural differences that prohibit women from engaging in activities with men. Details can be found here. We will deliver inter-generational sessions where older and young people will support each other during activities, providing opportunities for both to enhance social skills and to learn from each other. Please see the project details for Floating Lotus. We will deliver two simultaneous sessions in local parks providing tai chi for parents and Kungfu for their children. This will provide an opportunity for the whole family to get active and support each other to maintain a healthy way of life. 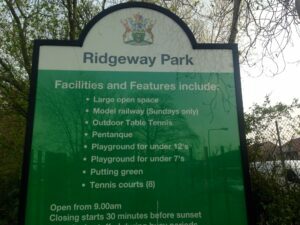 Please see the project details for the Ridgeway Park Family Sessions. 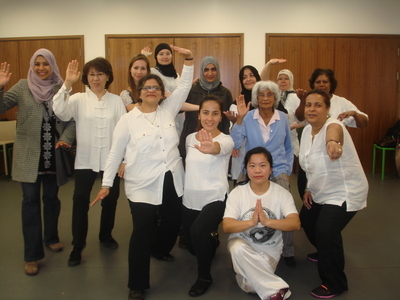 We are working with our new partner organisatiion Al Muhsinat to get more Muslim girls and young women to try Tai Chi. This is a Sportivate FREE Tai Chi Breeze for girls and young women aged 11-25 Download the poster here (PDF). 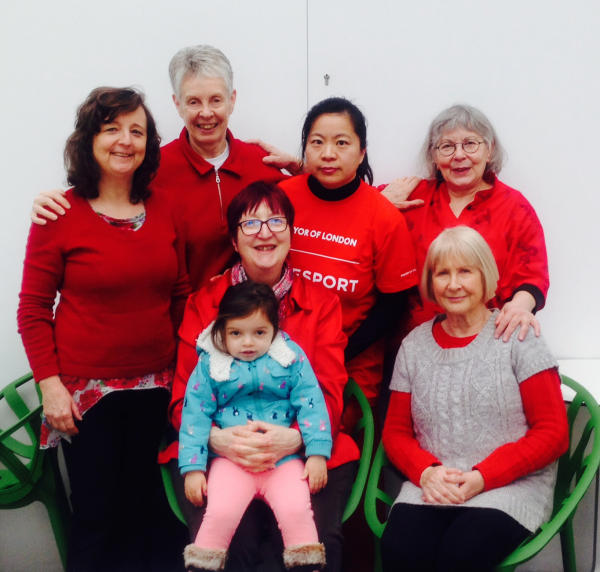 Please help spread the word and introduce more girls and young women to have a go at Tai Chi with this wonderful FREE Sportivate funding project. It will help you become more energised and learn some self-defence skills! 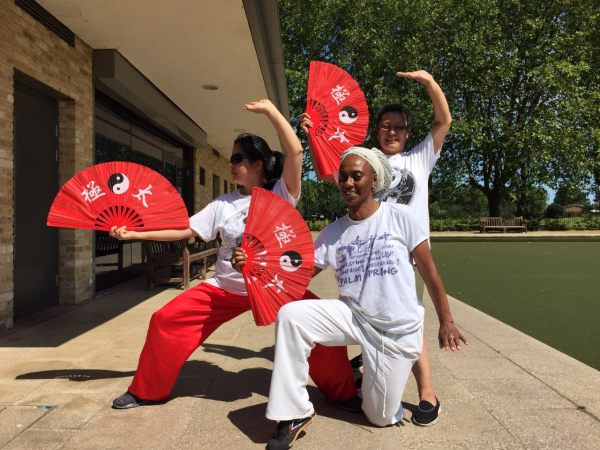 As part of Big Lottery Funded Ultimate Wellbeing programme, we will be delivering a Tai Chi and Kung Fu project designed for the whole family to get fit and have fun together in Ridgeway Park Chingford. If you are ready to take the challenge and want your whole family to get fitter for the summer, please book your places as soon as possible! We also promoted this project in the Chingford Times (page 5) or just see the cutting here. This project is for people living in Waltham Forest particularly in Chingford. Sessions are free but must be booked in advance. To book places, please fill in the booking form below. Please fill in this form to book your places at the Ridgeway Park Family Sessions. Name and age group of the young person. As part of the Big Lottery Funded Ultimate Wellbeing programme, we will be delivering a Floating Lotus Tai Chi project for girls and women who have experienced, or are experiencing, any kind of abuse or domestic violence between April and June 2015.
blossoming to radiate stunning, but humble beauty. Sessions are run indoors by understanding female instructors who will respect confidentiality. Meet other girls and women, help build self-esteem, relax and enjoy the training and support. Women mentors are being sought for these sessions. If you think you could support women by using your own life experience or wisdom then get in touch. To book a place on the programme, or to offer as a mentor, please contact us. 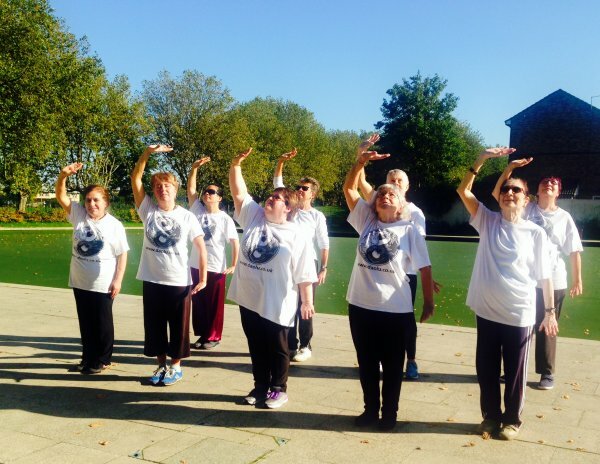 As a result of a Big Lottery Funded Ultimate Wellbeing programme – female sessions, we have now set up an ongoing Women’s Tai Chi Corner in Lloyd Park to help more women train in long term. 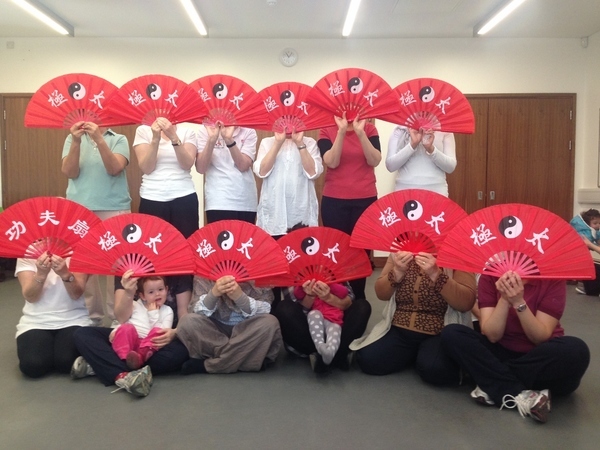 * The Dao Lu student fee of £25 per year offers numerous benefits including half price classes for all Dao Lu classes (e.g. 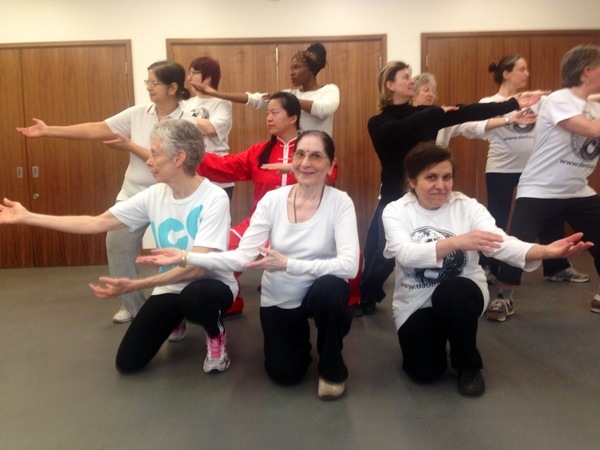 £3 for Women’s Tai Chi Corner) and eligibility for grading. The cost for those who have not paid the annual student fee is £6 per session. Clothing – flexible and weather-appropriate. We prefer participants wear a white top, or Dao Lu white T-shirt, and black jogging trousers (or similar). Footwear – plimsolls or lightweight trainers. Drinks – please bring a small bottle of water. We have a poster for Women’s Tai Chi Poster if you would like to print out or help display or forward to your friends.